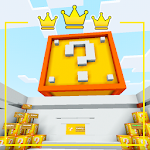 Lucky Blocks Race is a new multiplayer-friendly competitive racing adventure in Minecraft coming with updated Lucky Blocks. An MCPE game gets way more interesting and challenging with such a cool map. 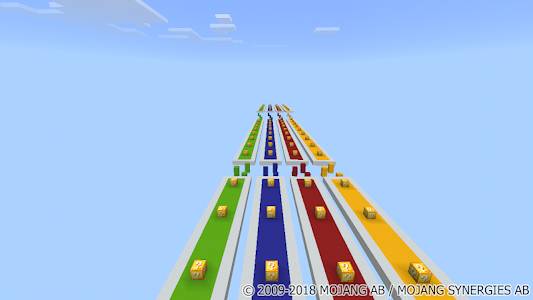 The main objective the map sets for MCPE players in this game is to run down the track and break all lucky blocks they encounter on the way. LuckyBlocks are the yellow blocks in Minecraft, and they lead to a random event when they are smashed. If the fortune is with you, then you will get some useful items. If you are not a fortune’s darling, get ready to deal with something really horrible, for instance, to flee from falling anvils. You should be extremely careful. This game is great for 2-4 players. 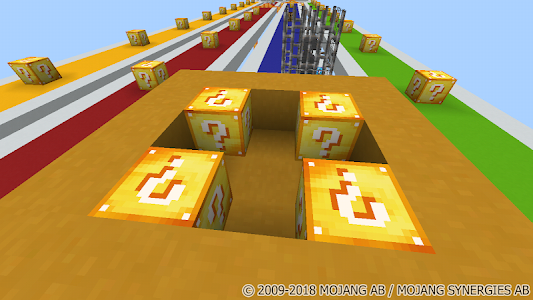 Enter upon small (3 × 3 blocks) platforms and start counting down from 10. 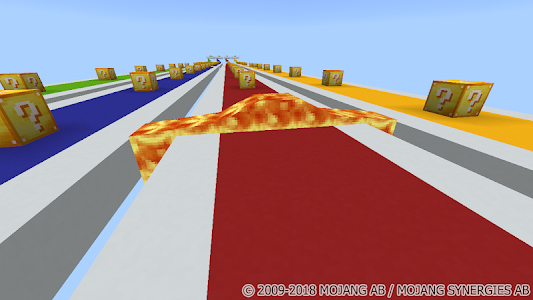 Players need to destroy LuckyBlocks on the track before proceeding further. Every time a lucky block is broken, it causes a casual event. These events include but not limited to sudden waterfalls, anvils falling from the sky and squashing everything below, and god knows what else. But what can lucky blocks give you in Minecraft? As for good bonuses, they can endow you with armor, health, golden apples, and other perks. As for not very good bonuses, you may find yourself trapped in a water cube or have to do with impending lava. You are prohibited to go beyond your own track. 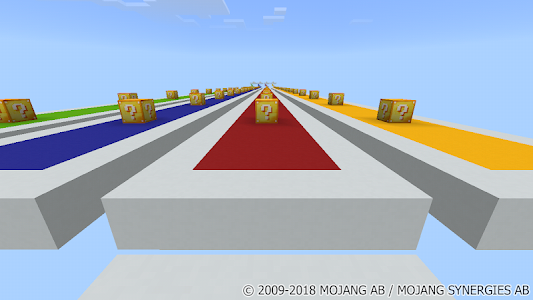 You can utilize blocks in your inventory to restore the track if it is required for continuing the game. 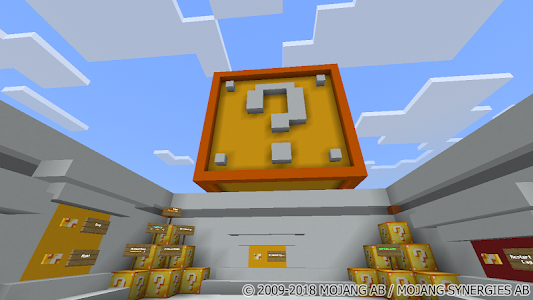 Similar to "Lucky Blocks New Race MCPE map"